In 2009, I was diagnosed with a rare auto-immune disease that almost killed me. Coming out of that, with a chance at health and having my family together again, I felt a profound sense of joy. It was probably the quintessential time in my life where I was re-evaluating everything around me and discovering what was truly important in life. 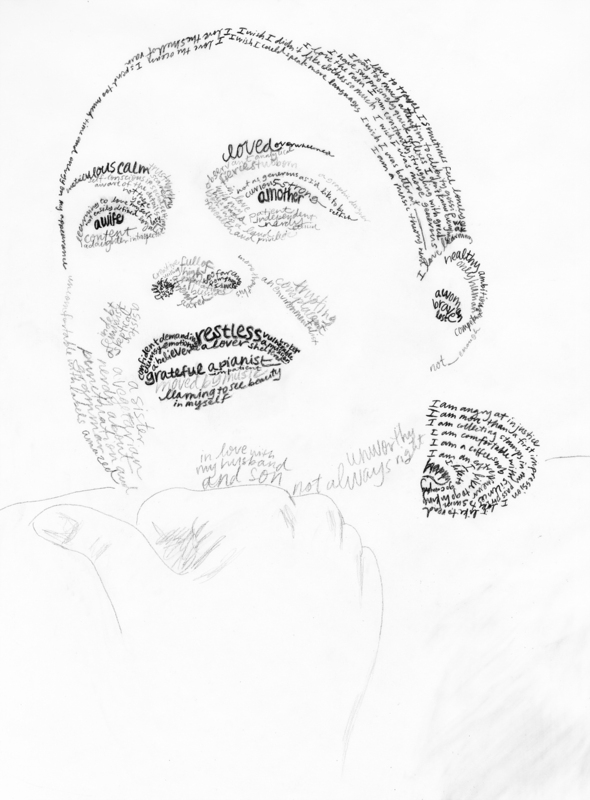 During that time, I was inspired to create a self-portrait using only hand-written text as the content, words and phrases that described who I was in that moment. I entered this image into an online design publication contest, and was awarded the chance to be included in Blanket magazine’s April 2009 issue.